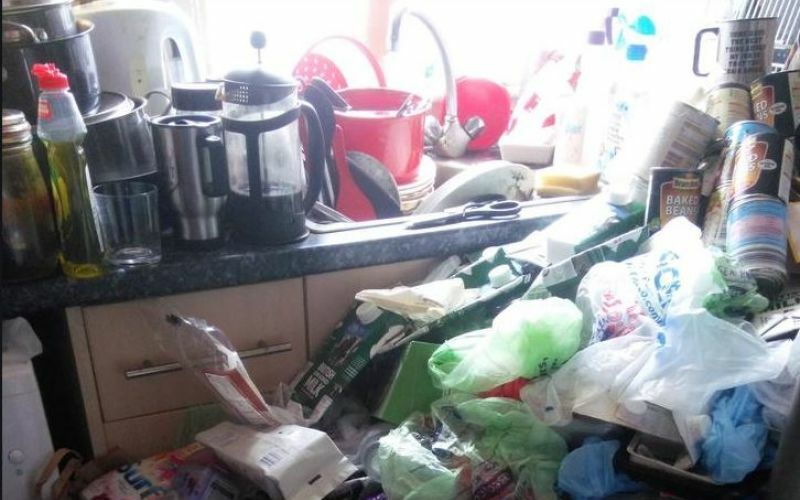 A disabled campaigner is accusing his council of years of neglect and discrimination, after its failure to provide him with a support package left his home so full of rubbish that firefighters said it was too dangerous to enter. Mark White says he was told by Cornwall Fire and Rescue Service in September that it will not allow any of its firefighters into his home for safety reasons. He is terrified that he will not be able to escape if the bags of rubbish stacked around his home (pictured) catch fire. He lives in a three-bedroom terraced house which he said was supposed to be “temporary, emergency accommodation”, but he cannot leave the house because he would need an electric wheelchair or scooter and cannot get one into the building. White, from Hayle, Cornwall, has spent years advocating for other disabled people in Cornwall, and across the country, and believes he is being punished for that work by his local authority, which he accuses of being “incompetent”, “intransigent” and “abusive”. Cornwall County Council insists that White has been unwilling to “engage” with its services, and that it is trying, alongside other agencies, to persuade him to do so. 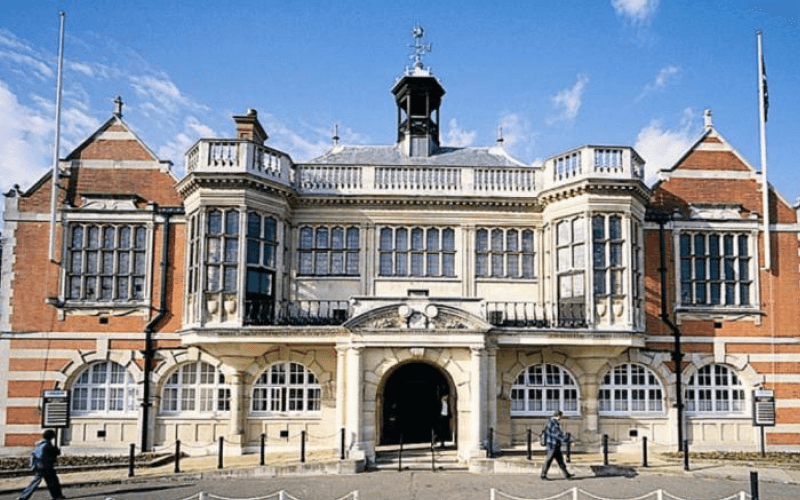 White told Disability News Service (DNS) that he has been asking the council to assess his needs for four years, but that it refuses to provide him with the necessary forms in an accessible format. He has several impairments, including diabetes and mobility and sight impairments, and has asked the council to provide him with the assessment forms on a CD or a USB stick. But he says the council has refused to do so, and instead sent him a 150-page document in a huge font (72 point) and demanded that he read it with a magnifying glass, something he would be unable to do because of the size of the stack of paper. He says the council even refuses to send him the form in normal 12-point print so that he can scan and view it with the electronic equipment he has had installed, which magnifies text to a size he can read comfortably. He said: “It seems that Cornwall council hate those who advocate for disabled people and seek to punish them in any way they can. White believes the way he has been treated by the council amounts to serious criminal neglect, and he has accused it of disability hate crime, lodging a complaint with the police through the anti-hate crime organisation Stop Hate UK. A spokeswoman for the council, which also runs the county’s fire and rescue service, said in a statement: “The council and its partners take their responsibilities very seriously. She said the council had “tried to engage in undertaking an assessment and support plan but have been unable to do so despite numerous attempts”, and was “happy to discuss with him other forms of technology”. When asked about concerns raised by the fire and rescue service, she said later that “services continue to try to work with him to address issues with the property”. She also said that the council was “unaware of any history of his work as an advocate. A spokesman for Devon and Cornwall Police said: “Police received a complaint from Stop Hate UK on behalf of Mr White, and enquiries were made into this matter. “Mr White has been informed that this does not appear to be a criminal matter. White insisted that he had not been contacted by the police since he lodged the complaint through Stop Hate UK.